As the fragile truce still holds in Yemen, young victims have bared the brunt of years-long war. In yet another case of the ongoing humanitarian crisis in the war-torn country, newborn Yemeni conjoined twins, whose plight sparked a plea for urgent medical treatment overseas, died in Sanaa Saturday, the health ministry said overnight. Doctors treating 2-week-old Abd al-Khaleq and Abd al-Rahim in the capital Sanaa had said the boys could not survive within Yemen’s war-ravaged health system and needed to be taken abroad. In a statement carried by Yemen’s Official Saba News Agency, the health ministry said the deaths reflect the health and humanitarian situation Yemen’s children are living through as a result of the war. Health services have collapsed and most hospitals are not equipped to provide specialist treatment for rare conditions. Bringing patients out for treatment poses enormous logistical challenges. Mediators are pushing for the reopening of Sanaa international airport. But the airport in Sanaa has been closed to civilian flights since 2015 because the Saudi-led coalition has control over Yemeni airspace. Only U.N. planes can land there currently and re-opening the airport is a key aim of U.N.-led peace talks which began with negotiations in Stockholm in December. 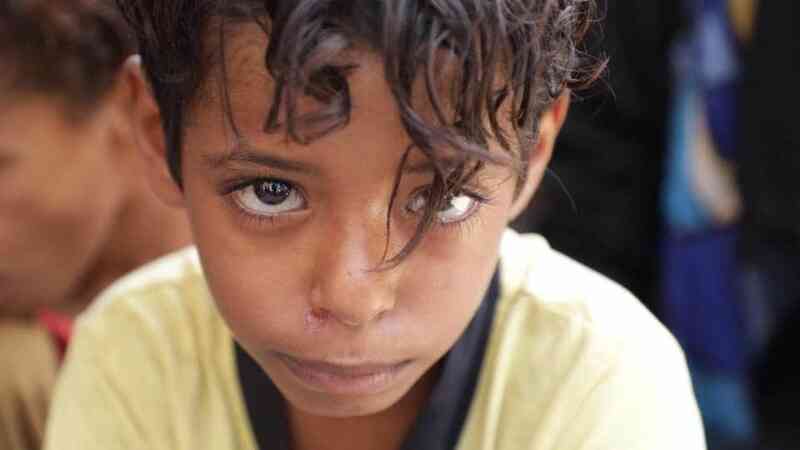 An estimated 85,000 children under the age of five may have died from acute malnutrition in three years of war in Yemen, a leading charity says.The number is equivalent to the entire under-five population in the UK’s second largest city of Birmingham, Save the Children adds. The UN warned last month that up to 14m Yemenis are on the brink of famine. Rising food prices and the falling value of the country’s currency as a result of the Saudi-led coalition war are putting more families at risk of food insecurity. Saudi-led coalition crimes in Yemen are a duplicate of the crimes committed by the Zionist entity and the United States of America. Only an end to the war can bring lasting relief to the children of Yemen. But until then, the international community must continue to put pressure on all sides to urgently address the humanitarian crisis. © 2019 - YemenExtra. All Rights Reserved.